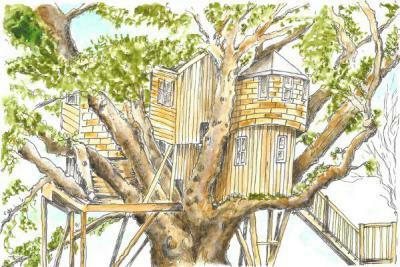 Tranquil site offering wooden pods for 4 and a luxury treehouse style lodge with hot tub for 6 near Falmouth. 2/3 night minimum stay. Private log cabin perched on the cliff above Portholland. The perfect escape with only the sounds of the waves & birds, sleeps couple or 2+2. Safari tents with HOT TUBS sleeping up to 4-8 at a Holiday Park in Weymouth. Enjoy the pools, spa, onsite restaurants + other facilities. Closed in winter. A lovingly hand built, unique cottage for 2, beautifully done, on the edge of the Forest of Dean. 2 nights minimum stay. No pets. A good value holiday in a cosy boathouse for 4-5 people in the small village of Porkellis, near Falmouth. Unique Pub near Wells offers 3 rooms + 2 separate cottages each sleeping 2 people with quirky decor + great views. Enjoy live music + traditional ales. 10 uniquely designed cabins sleep 2-4 near the North Devon coast. Set in a large field, with fishing lake, BBQ hut + views in Hartland. NEW HOT TUB. Large house near Poole sleeps 8 people. Garden, hot tub and basement cinema room with pool table. Minimum 3 night stay. A 5 star cruising boat with 3 cabins, all inclusive and crewed, on canal routes between Bristol and Oxford. A cottage for 4 connected to St Anthonys Lighthouse, located at the furthest point of the stunning Roseland Peninsula. 2 night min stay. Modern open plan lodge in the Cornish countryside with hot-tub. Sleeps up to 6 people. Mon and Fri changeover days. Converted cottages + a shepherds hut create quality 4 star accommodation near Bath. For groups of 10-12 - add romance package for 2. Impeccable shepherd's hut near the New Forest for 2 adults. Breakfast included and has a pub nearby. Minimum 2 nights stay. Closed in Winter. A spacious contemporary house for 4+1 near Salisbury with stunning views of the Wiltshire Downs. B&B accommodation in an historic 14th century castle, set alongside the River Exe, providing the perfect escape. Children welcome. No pets. Ensuite shepherd's hut, also with kitchenette and Hot Tub, sleeps 2 people in picturesque village near Yeovil. Breakfast included. 3 Safari tents each sleeping 6 people in a lovely spot near the small village near Tiverton - Closed in winter. Cruise the waterways of England + Wales on a guided narrowboat with meals included. No added single supplements. A secluded Glamping site, south of Wells, with furnished Belle tents and a quirky Log Cabin ideal for families and group bookings. New for 2018! Offering self-catering holidays in custom designed lodges on the edge of Hugh Town, not far from Porthcressa Beach. Historic courtyard coastal holiday cottage for 4, alongside a clock tower in Rousdon Estate near Lyme Regis. 3 night min stay. A luxury cottage for 5 at Anvil Point Lighthouse with stunning views. 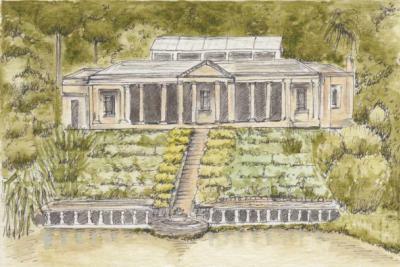 Within the grounds of Durleston Country Park. 2 night min stay. A cosy cottage for 2 set on a 35 acre farm in Yeovil offers a romantic rural retreat. A quirky cottage for up to 8 guests near Sandbanks with games room, mini cinema, fishing, canoe and ducks. A cottage at Trevose Head lighthouse for 4 people with stunning sea views from the bedrooms. 2 nights min stay. 1 small dog welcome. A converted wing of a Grade II listed Cornish mansion, standing upon a 42-acre private estate. Sleeps 6. 3 night min stay. A cottage for 6 at Start Point lighthouse. Spectacular panoramic sea views, near Blackpool Sands. 2 night minimum stay. A romantic glamping Shepherd's Hut for 2 bordering the Devon moors, on an equestrian site near Sidmouth. 2 night minimum stay. Closed in Winter. 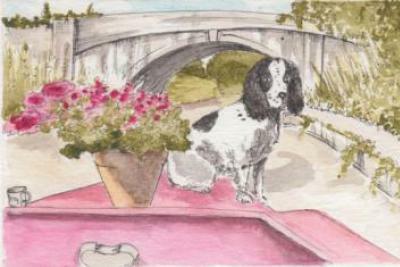 DOG FRIENDLY holiday stays on farmland near Liskeard. Stay in a converted Nissen Hut, Chicken House or Shepherd's Hut. A cottage for 6 at Anvil Point Lighthouse, within the grounds of Durleston Country Park. Sandy beaches within easy reach. Low cost glamping in a Wigwam pod or Bell Tent on an organic farm between Liskeard + Looe at the coast. Good for couples, families or groups. Cottage overlooking Gorran Haven Beach sleeps 4 people. Minimum 7 night stay with Saturday arrivals. A quality former Georgian Vicarage adjoining the Christchurch Priory. Beaches nearby. Space for up to 15 guests. Bohemian style boutique hotel just 5 minutes walk from the sea in Bournemouth. Explore Cornwall in original and new VW campervans. Modern, stylish barn conversion by the SW coastal path, sleeps 6 people. Sandy beaches a short walk away. 3 night min stay. Dogs welcome. A restored 1930s bow top gypsy caravan for 2, nestled in private woodland and wild flower fields on the north Devon coastline. A cottage for 4 at Bull Point Lighthouse on a dramatic headland near Mortehoe. Impressive panoramic sea views. Scandinavian style pine log cabin for 4 - and dog - with views over Bodmin Moor. Set in a tranquil location with a fishing lake. 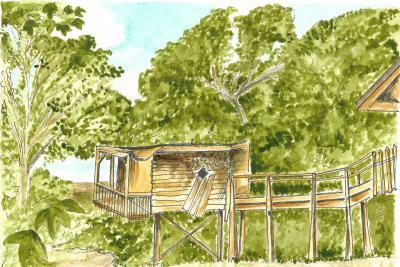 NEW Glamping site near Tiverton offers comfortable yet luxurious Safari Tents sleeping 6 people. Groups, hen & stag parties and dogs welcome. Open plan safari tent, sleeping 4, in sunny Devon. If full, see Willow Safari at the same location. Min 2 night stay. Closed in Winter. A stone and tiled holiday cottage for 6 that was once the village school and has kept many of its original features. A totally refurbished and bright cottage in a prime location in Shaldon - beautiful views to the River Teign. Sleeps up to 7. A shepherds hut perched on a hill top set within Mount Edgcumbe Country Park in Cornwall, overlooking Plymouth Docks. For 4 people. Closed Jan/Feb. A historic cottage for 2, which creatively makes use of the original horse manger stalls, in rural setting near Axminster. Collection of peaceful secluded log cabins, with a luxury hot tub in the rural village of Ansty. Cottage for 5 at Bull Point Lighthouse with open sea views, perched on a headland between Mortehoe and Woolacombe. Min 2 night stay. Country pub near Bath offers accommodations each for 2 people in bell tents, a Wendy House or quirky sheds. A small cottage for 4 at St Catherines Lighthouse, with the sea just metres away. Many family attractions are nearby. A friendly hotel near the beach at Carbis Bay with individual rooms. Access to Spa at nearby sister hotel. Stylish shepherd's hut, located in countryside at Truro, with use of indoor heated pool, tennis court and gym. 2 night min stay. A two bedroom log cabin in picturesque setting near Liskeard, perfect for a couple or small family. Closed in winter. Traditional shepherds huts + tent pitches located on a farm in the heart of the Dartmoor National Park. Minimum 2 night stay in huts. Enjoy the freedom of holidaying in a VW Camper waking up each day and deciding where to go! Sleeping up to 5 people, pick up point in Sidmouth. 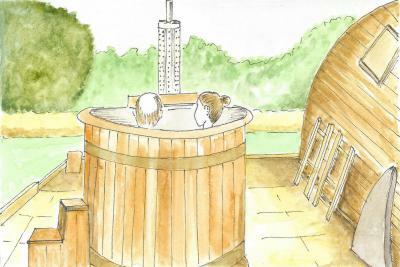 Bespoke curved wooden cabin with hot tub, sleeping two guests. Sandy beaches 5 minutes away in Westward Ho! Modern lodge with lake-side location sleeps 2 near the village of Bradworthy. 3 night minimum stay. An insulated hut with woodburner for 2 with views. Located on a sheep farm near Taunton. Enjoy the festivals in comfort with one of these glamping options that can be found at different festival locations throughout the year in the UK. Detached holiday cottage for 6 at Dittisham. Stunning views over the Dart Estuary. Beaches under 15 minutes away. 2 night min stay. Stylish waterfront apartment, set in the historic Royal William Yard complex, overlooking the harbour. Sleep 2-4 people. 3 night min stay. A former Police station now offers accommodation for up to 6, a short stroll from the medieval village of Dunster and the beach. Unique cottage within National Trust land offers a rural retreat for 4 people near Holford. Minimum 3 night stay. A 4 bedroom beach house minutes away from 7 miles of golden beaches. 2 hours from London. 3 night minimum stay. Wooden cabin for 2 in grounds of historic Burton Hall + Apartment in East Wing, lovely views of Dartmoor, walks on the doorstep. A luxury studio apartment for 2 surrounded by fields and woodland. A rural romantic hideaway near Exeter. Eco-friendly farm south of Bristol offering rustic accommodation, educational visits, workshops + venues for events. Barns for group of 16 or arcs for 4. Renovated shepherd hut for 4 with amazing seaviews from Mount Edgecumbe County Park. Min 2 night stay. If full see Lynher Hut. Closed in Winter. Lodge style cottage with stunning countryside views and large garden sleeps 4 near Exeter. 3 night minimum stay. A single-storey farm cottage for 4 at Welland with country views. Old meets new beautifully. Dog + child friendly. 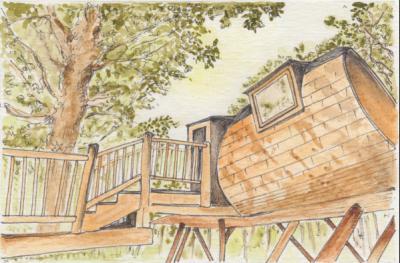 Wooden shepherd's hut for 2, located near to Truro. Enjoy the onsite gym, heated pool and tennis courts. 2 night min stay. Fun and quirky decor in this historic cottage for 2 on Bodmin Moor. 2 B&B rooms to let in tranquil woodland with sea views, near Yarmouth. Sailing and art classes possible. 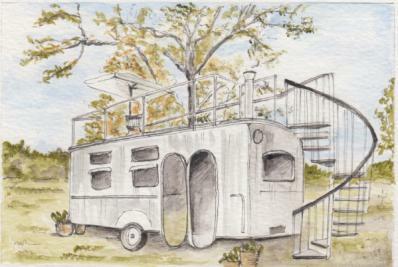 A shepherds hut break for the couple who want to unwind. Enjoy the tranquility of nature in the Cotswolds at Tetbury. Closed in Winter. Family run rare breed pig farm offers cottages + B&B rooms, sleeping 2-4 near Honiton. Learn how to keep pigs or simply enjoy the beauty of the area. A fantastic one bedroom, Grade II listed watchtower, with fabulous views over the River Taw, near Barnstaple. 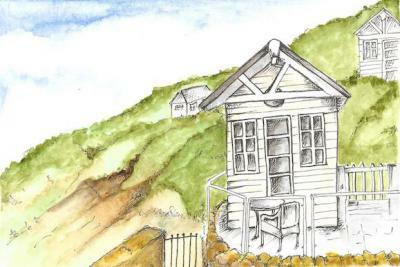 Gorgeous refurbished chalet with clifftop sea views by Whitsand Bay. Travel to beautiful beaches and explore the SW in beautifully renovated eco-friendly VW campers. Out of Okehampton. Min 3 night hire. A luxurious apartment in the centre of the famous World Heritage landmark, the Royal Crescent. Sleeps 2-5 guests. Family run site offering 4 wooden pods that sleep 2+2 near Camelford. Historic mail house with original features offers 3 B&B rooms in the most westerly town in Cornwall of St. Just. Take a yoga class. Swedish lodge sleeping 10 guests, equipped with heated indoor pool, sauna and hot tub. Overlooking St Ives Bay. Secluded site offering high quality tents for up to 6 guests - on farmland near Taunton. Closed in winter / Mon-Fri arrival days for 3/4 night stays.